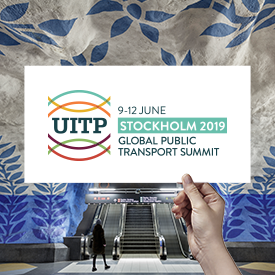 Organisations which have achieved exceptional success and driven forward the development of transport ticketing and passenger information have gained global recognition for their work at a major international event in London last month. The Transport Ticketing Awards, which took place at Transport Ticketing & Passenger Information Global 2015, celebrated achievements across six categories of excellence. The winners, who received their trophies at the event, have all made valuable contributions to the industry through pioneering innovation and a commitment to improve the customer travel experience. They were chosen by public vote having been shortlisted by a panel of experts. London has become the first major city in the world to accept contactless payment cards on public transport. Transport for London and ticketing systems supplier Cubic have worked extensively with the payments industry to create and implement a transit transaction model to solve the principles of using contactless cards on transport. Since introducing contactless, customer take-up has steadily increased each week. Currently, more than 300,000 contactless journeys (8% of all Pay As You Go trips) are made every weekday. Northern Rail and ticketing systems supplier Parkeon teamed up to examine how ticket vending machines could be more customer friendly. Last year, the partners introduced a unique facility, an industry first, by adding live train running information to 96 Parkeon TVMs across Northern’s vast and varied network. The TVM software developed by Parkeon enables customers to purchase their tickets at the machine and to see live information displayed about the next five trains, including platform details and whether the train is running on time. During disruption, the initiative allows customers to make an informed decision about buying their ticket and their choices for onward travel, crucial when there is not a member of staff to talk to. The data is fed from the industry Nexus Alpha system and has proved extremely reliable. At all times, the customer has the option to buy or collect tickets, or return to the train running information, thus making the system dual-purpose, flexible and easy to use. In October 2014, French state railway company SNCF began offering its customers the opportunity to buy and validate regional train tickets with an NFC smartphone. The service has simplified the customer experience at every step: shopping, payment, validation and control. It has dramatically improved ease and autonomy of travel across the network. Tyne & Wear Metro owners Nexus and technology providers Scheidt & Bachmann and Ecebs have taken the Metro’s ticketing system from coin-only ticket machines to full smart retailing in less than three years. Key features include smart vending machines and validators at 60 stations; new retail channels online and at 460 Payzone outlets; and integration with key bus and ferry routes via the Pop card brand. The cross-modal project has seen 100% of season ticket and corporate customers transferred to smart tickets; 75,000 passengers issued with new Pop cards in 2013-14; and 40,000 pensioners buying annual tickets as a smart product on the Government concessionary travel card among its achievements. New Zealand-based Snapper Services which has responded to the demand from government authorities to provide flexibility, innovation and customer benefits within travel by creating a new bolt-on software integration service. This takes the form of an interface that allows a smartphone app on an NFC-enabled mobile to communicate with an existing transit card, offering app users a means to view their balance and transaction history, top up their balance and purchase or download a ticket instantly and on-the go. Snapper is now marketing its services around the world. It has already secured one customer in Europe – Ireland’s National Transport Authority in Ireland. Working together with Vix Technology, Snapper providing a mobile reload service that integrates with the Leap card, which is used for public transport in Dublin, Cork and Galway. Nick Mackie from Visa has helped to drive uptake of contactless throughout Europe. With many years of experience in the creation and commercialisation of value-added technology service solutions, Mackie currently runs Visa’s contactless product team.